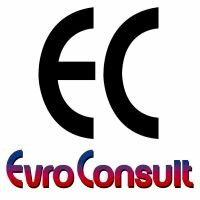 EvroConsult-Sofia Ltd. was founded in 2004 in Bulgaria. The company provides design and construction management services of electrical installations in commercial, institutional and industrial buildings for new build and refurbishment projects. Our specialists are highly qualified professionals with extensive world class experience. We have built a reputation for quality, reliability and excellent service. We provide electrical engineering services for Clients in Bulgaria, Republic of Ireland, South Africa and United Arab Emirates. Appointments range across all sectors.